This is part two of “I Think my Baby has Autism. 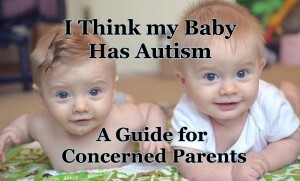 -A Guide for Concerned Parents”. The first part, What are the early warning signs of autism? How can I tell the difference between a sign of autism and normal behavior? covers the early warning signs of autism for infants and toddlers and discusses what developmental delays are red flags for autism. If you are reading this section, then you’ve probably observed a red flag in your infant and toddler and are wondering what to do next. I noticed some red flags in my baby or toddler. Now what? There are three main things I tell all parents who have children with developmental delays: Trust your instincts. Don’t panic. The worst thing you can do is wait. Do a lot of parents freak out about their children? Yes. Is autism frequently portrayed in the media as this huge scary thing every parent should be worried about? Yes. Have parents messaged me concerned about their children only to find out there was nothing to worry about? Yes. Have I been worried about my son only to have him pass all screening? Yes. I was worried about both boys, especially after one was diagnosed with autism. When my autistic son’s twin showed signs of developmental delays himself, I had him evaluated on two separate occasions. Both times he passed the evaluation and didn’t qualify for services. Still, my concerns were not entirely unfounded. My neurotypical son scored low enough on the Ages and Stages Questionnaire that his pediatrician made the call to refer him to speech. When he was evaluated, they did find a delay, but that delay wasn’t enough to qualify him for speech therapy and, after observing how I interacted with him, the speech therapist said that I was basically doing speech therapy with him already. Yes, like many people on the internet said he would, he did eventually have a speech explosion, although I really suspect that the speech therapy I was doing with his twin helped him out, since I started doing it with both of them at the same time. However, my concerns with his autistic twin started much earlier and ran much deeper. I had a lot of well-meaning people in my life and online tell me that my autistic son’s behaviors were normal and that it was “too early” to tell anyway. As a former behavior scientist, I kept very, very careful notes and was trained to be highly observant of the behavior in others. 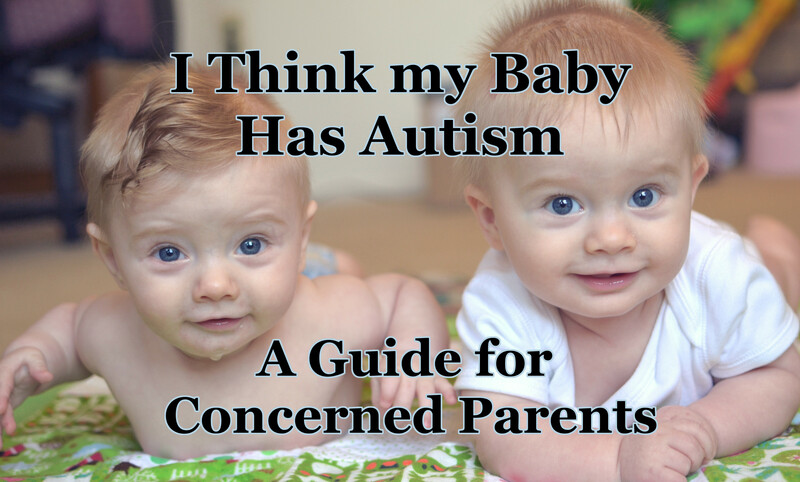 I also knew that my sons had several risk factors for autism, so I started screening early. Even with my background and the risk factors, I was constantly told I was imagining things or overreacting. It is not uncommon to hear, “If your doctor isn’t concerned, then you shouldn’t be.” I started to wonder if I was going crazy when my son passed 2 separate screenings for communication and social/emotional development. When he was first enrolled in Early Intervention, it was because he was showing signs of right hand dominance at 9 months (which I had read could be an early sign of autism). I never once brought up the word “autism” to his EI Coordinator because I didn’t want to seem overly anxious. However, when he went through his first regression at about a year of age, huge developmental delays appeared. He stopped babbling, he stopped making eye contact, he started playing by himself, etc. I was not surprised at all when they said that he should be tested for autism at 15 months, nor when he received the diagnosis at 17 months. At that point, I had thought he was autistic for quite a while. Have you seen red flags in your infant or toddler? Where those red flags gathered through evidence-based sources? Then I believe you. Your child has a developmental delay. That being said, developmental delays, even those that are red flags for autism, can occur in neurotypical children too. A single developmental delay, especially a minor one, doesn’t mean anything by itself. Alden had developmental delays deep enough to require referral, but didn’t ever qualify for services and he does not have autism. Even if your child does have autism, catching it early can make a vast difference for outcome to the point that some therapies have been shown to change brain activity so as to erase deficits. I was terrified of autism before my son was diagnosed because of how it is portrayed in the media and because I knew so little about it. After my son was diagnosed, I started sharing information and enrolled my family in some genetic and personality studies. We discovered that two adult family members are on the spectrum, with two more who might be, but see no reason to get formally tested. My son’s developmental delays were very severe when he received his diagnosis, but intensive therapy has helped tremendously, and I have hope that he will end up like his adult relatives where autism has been an advantage rather than just a disability. A diagnosis of autism will not change your child, it will simply give them access to more services that will help them succeed. The Worst Thing You Can Do Is Wait. In her AMA on reddit, Temple Grandin said that the worst thing you could do for an autistic child is “to do nothing”. Even for a neurotypical child, waiting is the very last course of action that should be suggested. Would my neurotypical son have a speech explosion on his own had I not included him in his twin’s therapies? Perhaps; however, there are many, many children who do not have speech explosions of their own. In one of my mom groups, a mother there kept waiting and waiting for her daughter’s speech to develop until the pediatrician finally realized a referral was badly needed. The daughter was severely delayed and required intensive speech therapy for well over a year now. Had the pediatrician caught the delay earlier or the mother insisted on help before, the child wouldn’t have fallen so terribly far behind. Sometimes delays can have caused by easily fixable problems such as poor vision, ear infections, motor weaknesses, etc. If a child has a delay, a thorough evaluation by a trained professional is badly needed. The CDC has some great guidelines and tips for bringing up concerns to your child’s doctor. Approaching your health care provider with a list of milestones and exact details of area of concern is usually enough to provoke even the most negligent doctors into action. Unfortunately, there are those who will still insist on a Wait and See approach, even when faced with a clear developmental delay. With these, it is best to get a new doctor. In the meantime, go ahead and place the referral for evaluation yourself. If you are in the US, you don’t need to have a referral from a doctor to get a free evaluation from the state. If your child is under 3 contact your local Early Intervention Service. The exact one you call depends on your state. You can learn more about Early Intervention here. If your child is over 3, contact the local school district. If your child is not in school, you can call your local elementary school or board or education and ask to speak with someone who can help you. Here and here are resources with more information about this process. In general, EI is more helpful than the local school districts, which can vary wildly in their helpfulness, which is another reason I suggest getting an evaluation as early as possible. If your child has multiple and/or severe delays, especially if there are medical complications or multiple red flags for autism, ask your doctor about a referral for a developmental pediatrician. These specialists often have long wait lists and it often takes 6 months or more between referral and first appointment. Since I’ve become involved in parenting circles pertaining to developmental delays, I’ve encountered more than a few parents who were told by someone involved in Early Intervention that their child didn’t seem autistic, so the parent had never pursued a diagnosis, trusting the judgment of the therapist alone, even though they personally felt doubts. In these cases, the children aged out of the EI system, still had severe delays or growing behavior issues, and the parent struggled to find help through the local school system. Both times before my son was evaluated for autism by a trained professional, I had a therapist tell me that they didn’t think my son would qualify. In the first case, it was an Occupational Therapist who had worked with my son for months. The developmental pediatrician diagnosed my son with autism on our first visit. In the second case, it was a Speech Therapist who knew my son was autistic, but she didn’t think he had a delay enough in the specific area that the study focused on. My son qualified for the study. His delay in that area remains significant if you know what to look for. Make certain that the person trying to tell you that your child doesn’t have autism is properly qualified to make that judgment call. If your young child is showing multiple signs of a possible autism diagnosis, it would be very helpful to contact the Autism Society and look for local support groups and resources. If your child doesn’t have autism, these parents and experts will still be experienced with navigating the system and obtaining evaluations and therapies. My local preschool support group welcomes parents who have children who do not have a formal diagnosis of autism, but who exhibit several of the same behavioral problems. Many of these groups as also aware of studies through local universities that are looking for children who show early signs of autism. My son was enrolled in one of these studies that I contacted through my local support group. As part of the study, he was given a full evaluation for autism. If you live in Ohio, then the Ohio Center for Autism and Low Incidence has an excellent 4 step guide for parents concerned about a possible autism diagnosis. Unfortunately, some of these services have very long wait lists. Getting into a developmental pediatrician alone can take some families well over a year. In the meantime, there are many easy therapies you can do at home to encourage speech and social engagement. I highly recommend that all parents of young child concerned about autism purchase a copy of An Early Start for Your Child with Autism: Using Everyday Activities to Help Kids Connect, Communicate, and Learn [affiliate link]. This book teaches families how to do the Early Start Denver Model at home. The ESDM is a form of therapy designed for children under the age of 3 that was developed out of the UC Davis MIND Institute. Although I went to UC Davis, I was uninvolved and unaware of this amazing resource until well after my son was diagnosed. I stumbled across it when researching effective, evidence-based forms of therapy and was impressed by the results found so far in studies. In this series, I wrote about how I set up a play area based on the guidelines suggested in this book and how much it increased communication for both of my boys. You don’t have to have a child with autism to benefit from many of the tips on increasing communication within the book. I would love to see a version written for parents of neurotypical children. If you are in North Carolina, the TEACCH autism program is a great resource for studies and intervention methods. More tips on what you can do now to help your child with delays can be found in the Part 3: What can I do now at home to help prevent or treat developmental delays? It’s imvpeatire that more people make this exact point. Not sure whether this qtsiueon Friday feature is a permanent one or not, but if it is, I’m wondering if you or any of your experts have any tips for parents with both typically-developing children and children with special needs. Particularly, I’m wondering to best support my daughters (who have very different abilities) in having a meaningful and equal sibling relationship.